Daily golf and cart specials. Call the Pro Shop for details. (705) 728-1866. Send us your name and email address for a chance to win a foursome of golf. With the purchase of one regular priced adult green fee. Valid after 4 pm Monday, Friday and Sunday. Call the Pro Shop for details. View daily and weekly specials and book your tee times online now. Driving Range Small Bucket: $4.07. Large Bucket: $6.10. All rates subject to applicable taxes. Rates subject to change without notice. Membership does not include tournament play. In order to provide preferred tee times for members, memberships will be LIMITED on a first come, first served basis. 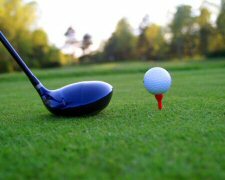 All persons use the golf course grounds and buildings at their own risk in all respects as to personal accidents or property loss or damage. $25.00 service charge for cheques returned NSF. Response to the corporate membership is extremely positive and a limited number of corporate memberships remain available for 2012. Aside from being one of the few courses in the area that offers a corporate membership, what makes this membership unique from the others are the services we provide. The corporate membership allows playing privileges for two everyday. The membership is fully transferable, but no more than two may use it per day. All this for a membership price of $2,100.00 plus HST. All tee times must be booked by the player's name in advance by the corporate membership holder. Each corporate membership allows playing privileges for two. All corporate membership playing privileges are transferable. No more than two persons may be on the golf course under the same corporate membership per day. Authorized players under the corporate membership must sign in at the Pro Shop before playing. Corporate memberships apply to daily playing privileges only and do not apply to tournaments or other club functions. Weather... just because it's raining where you are, doesn't mean it's raining here! Our Men's League enjoys playing every Thursday evening during the summer! Time: Shot gun at 5:00 pm. Special Events: During the summer Men's League participate in special events every holiday. These events typically start at 11:00 am. Contact the Pro Shop at (705) 728-1866 for more information or to register for Men's League. Our Ladies League enjoys playing every Wednesday during the summer. The league plays in the morning and afternoon. Time: Morning tee times - 8:30 am to 9:30 am. Afternoon tee times - 4:00 pm to 5:30 pm. Cost to Join League: $60 - includes Wine & Cheese, Opening Brunch, Closing Banquet, and Lots of Prizes! 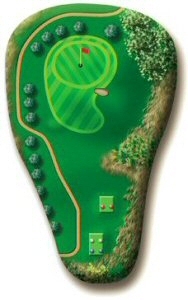 A Stableford points based system. Fair to players of all levels. Men and women. Every Saturday morning. 8 a.m. start time. Our Senior's League enjoys playing every Tuesday morning during the summer. Time: Shot Gun at 8:30 am. With the purchase of an adult green fee get ONE FREE Junior (15 & under) GREEN FEE FREE. This offer is valid after 4:00 p.m. Monday, Friday and Sundays. Please note: Golf cart is not included in special if you wish to take a cart you must pay for both the adult and junior on the cart. At Springwater Golf Course we strive to make your experience hassle free and enjoyable. Whether you are hosting a family, corporate, or charity tournament we are available to assist you with all your tournament needs. Our newly renovated dinning room can accommodate groups from 20 to 144. We have custom tailored packages for "Golf Only", 9-hole and 18-hole, and our "Executive Package" which includes golf and banquet. All of our packages will provide your guests with the "five star treatment". Springwater offers an attractive selection of meals in a comfortable setting, EZ-Go power carts, scoring, on course amenities, beverage carts and helpful staff. On February 28, 2003 Arnold and Ed Lange sold the golf course to the Birimcombe family; Dave Sr., Joyce, Dave Jr., and Stacey. We are very pleased with this sale and we will work very hard to make this golf course more enjoyable for the existing members and for the new members, who wish to become a part of Springwater Golf Course, notes Dave Birimcombe Sr. We have been members for approximately 12 years and we realize that the course has been getting better every year and we intend to increase the quality of your golf course to a much higher level. As members you will respect the fact that we cannot do all the improvements in 1 or 2 years and we know that. 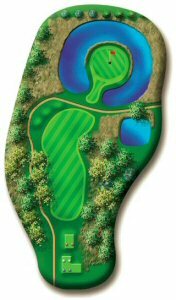 We have developed a five year plan that consists of many improvements that are needed to improve the course. For the 2003 golf season, we are going to finish the pre-existing work which was started and due to the weather conditions at the start of last year did not get completed. We are in the process of buying a range ball picker which will help us to ensure the range balls are picked up in a expedited manner allowing the range to be available all day 7 days a week. The range will also be cut on Sunday evenings so the range can be used when you come out for your round. 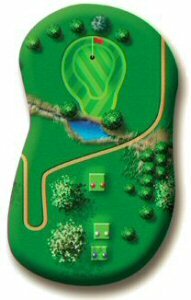 In the fall of 2003, we will be constructing targets on the range which will give the users a more realistic view of where their ball, direction and distance, is going. New bunker sand will be installed in the existing bunkers and as the season progresses we will install drainage in these bunkers. We are also in the process of obtaining a bunker machine to maintain these bunkers on a daily basis. 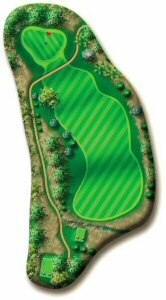 We will be finishing up the new tee areas around hole number 12 and providing drainage around the back of hole number 11�s green. 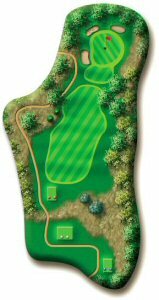 In addition, we will be cutting down a few trees around the course which will please a great many of the golfers. 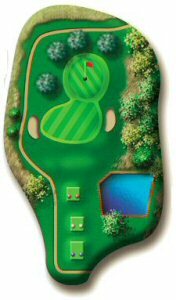 Our other plans in the next few years include the lengthening of a few of the tee blocks, and enlarging three greens (#5, #13, and #15). We are in the process of consulting with our maintenance staff on these ideas. All options are being looked into to ensure that we maintain a minimum level of inconvenience for the users of Springwater Golf Course. We will also be making improvements to the areas of the golf course which are not quite as noticeable to the members and the guests of Springwater. Now after me telling you about what we are going to do let me mention who is going to be a part of these developments, in case some of the members or guests at Springwater do not know us. Our family members will each be taking an active role in the success and development of Springwater Golf Course along with the expertise of our staff. Dave Sr. and Dave Jr. will be responsible for the day-to-day operations of the golf course. Joyce will be in charge of all the office management. Stacey will be handling all public relations, and organization of the kitchen and lounge. We, the Birimcombe family and the staff, hope to make your golfing experience at Springwater a pleasant and fun experience. We will do our utmost to make this happen. As this is our first year in the golf course business we are only human and will probably make a few small mistakes which we hope will not inconvenience your time at Springwater. We hope the members and guests will express their constructive ideas to help us make Springwater a great place to play golf. David Jr., Joyce, Stacey, and I have made a commitment to improve the golf course; we are ready and willing to �Accept the challenge�. We look forward to meeting all of our members and guests in the near future. Springwater Golf Course is proud to support our local community. 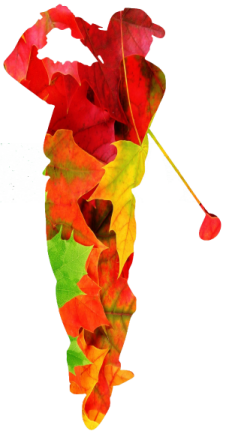 We contribute to many charitable events and organizations each year. We receive a large number of requests. To assist us in making a decision, we ask that all organizations submit their request by email. Please include your contact information and any information about your organization or event. Unfortunately we are unable to fulfill every request, we try to first assist those associated directly with the course (members, tournament coordinators, etc.). 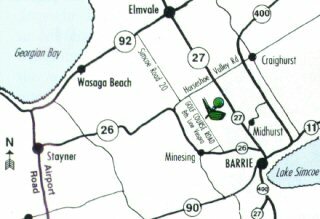 Please send your charitable donation request to info@springwatergolf.com. FREE Value Packs can be picked up at Mr. Sub, 506 Bayfield Street, Barrie. While quantities last. A) 1 FREE Weekday Green Fee with the purchase of 1 regular priced weekday green fee. Monday thru Friday during prime time and twilight hours. B) 1 FREE Weekend Green Fee with the purchase of 1 regular priced weekend green fee. Saturday thru Sunday after 1 PM. Power cart rental mandatory. C) 1 FREE Power Cart Rental with the purchase of 2 regular priced weekday or weekend green fees during prime time and twilight hours. D) 1 FREE Green Fee with the purchase of 3 regular priced green fees during prime time and twilight hours. Power cart rental mandatory. A solid par 4 to get your round under way. A decent drive past the left side fairway bunker will leave you with a mid iron into a wide green. Par is a good score. Hole 2 is a par 3. A pond close to the front of the green demands a solid tee shot. Sloping sides to this green make chipping onto it that much more challenging. The third is a par 5. Beware of the road running the entire right side of this hole. A good bail out is the driving range on the left. Bunkers guard the front and sides of this protected green. 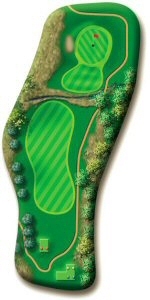 The new green on this par 4 fourth is straight ahead and slightly elscalated. A small iron into this green is all you'll need after a solid tee shot. 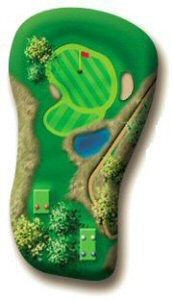 Reachable in two, this par 5 narrows into left and right side trees. Out of bounds marks most of the right side. Uphill all the way so add yardage. 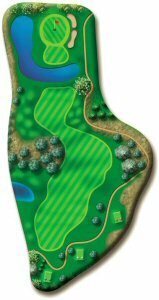 This lengthy par 3 will test your mettle. You'll be happy with a 3 here. 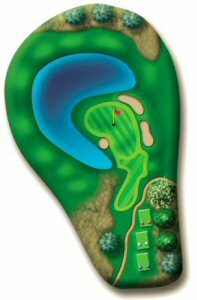 This par 4 7th hole demands a straight tee shot to allow for a short iron into the undulating green. 7 is the most challenging hole on the course. Finding the fairway off the tee is essential. 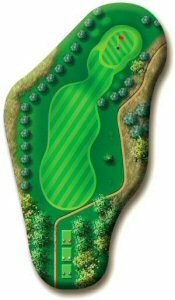 Long hitters have a great opportunity of driving this sloping green. A slight dog-leg right with red stakes guarding the right side of the hole. You'll need a straight shot of the blocks on this dog-leg right 9th hole. Water protects the majority of this green. A strong par 5 starts the back nine. A l arge green with bunkers on both sides. A dog-leg left that requires a well hit tee shot. Avoid the left side. Great birdie opportunity. 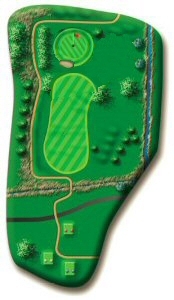 The green reachable in two following drive..
A large green with a pond located near the front right. A relatively small and tough green. Missing the green short is better than wide. Out of bounds lines the right side of this par 4 15th. Challenging off the tee. Test your accuracy with a wood or put yourself in good shape with an iron. This hole narrows towards the green. Miss right. A pond guards the majority of this par 3. A great finishing hole and a good chance at eagle with a long drive over the trees on the left. Water in the front and side of this green will test your courage on your approach.